Check your email for your Room Assignment Information! 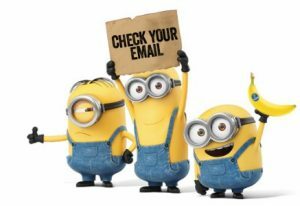 Please check your SHU Email to view your room assignment information (including your roommate(s) name(s) and your selected meal plan. For freshmen and transfers, your assignment email included an important parking pass for move in day. You can also print out a copy here: Move in bulletin and dashboard parking pass if you’ve misplaced the one in your email. Monday, August 28th – First Day of Classes! Enjoy the rest of your summer, Pirates! Author Cheryl McCloskeyPosted on July 11, 2017 Categories Assignments, Billing, Early Arrivals, Incoming Freshmen, Meal Plans, Residence Halls, Room Deposit, Room Selection, Roommate Selection, RoommatesLeave a comment on Check your email for your Room Assignment Information!